The Usher Gallery has launched a world renowned portrait exhibition, direct from London, today. Selected from 2,557 entries by artists from 80 countries, the BP Portrait Award 2016 represents the very best in contemporary portrait painting. Lincoln is the first city outside of London where you can see the exhibition and will run until November 13. Now in its 37th year, and 27th year of sponsorship by BP, the award has become world renowned. Second place piece ‘Silence’ by Bo Wang. Ashley Gallant, Collections Access Officer of The Usher Gallery, told The Lincolnite: “I think it is really important to have this artwork here in Lincoln. Two artists from Lincolnshire can be found in the exhibition, with Benjamin Sullivan from Grimsby, taking third place. Artist Teri Anne Scoble lived in Washingborough in the 1970s and 80s. 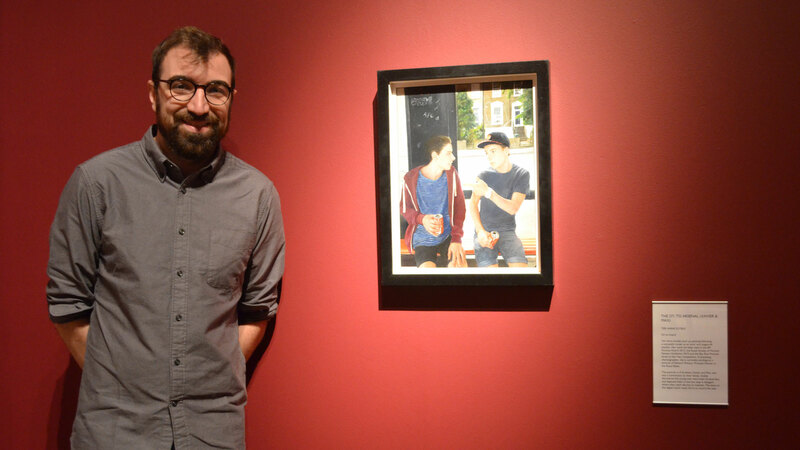 Teri said: “Being an exhibitor in the BP Portrait Award has changed my life. “It’s very impressive, we need more of this in Lincoln.